The choice of types dam according to their topography, particle in earth, shape, spillway, stability, areas, etc. are described below. For sloped earth surface - Earthen dam. For a rigid area - Concrete overflow dam. For valley area - Arch dam. Good soil areas - Any types of dam. In granite, basalt areas - Concrete gravity dam. Alluvial areas - Earthen dam, Down concrete dam. Clayee areas - Earthen dam. For large spillway - Overflow concrete gravity dam. For small spillway - Earthen dam. Large in length and small in height - Earthen dam. Large height and small length - Concrete gravity dam. For some time - Timber dam. For middle time - Earthen dam. 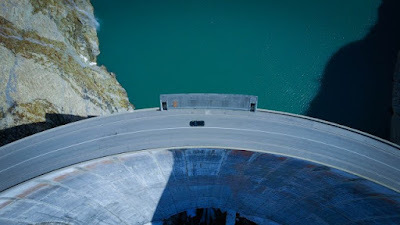 For a long time - Concrete gravity dam. Earthen or concrete gravity dam.